Sitting on a bus on the way to a conference, one of the students I advise asked to sit with me. She wanted to talk about friends. Or rather, the lack thereof. We talked about the sudden death of her brother and how she was afraid to get close to people because she learned early in life that they could leave you unexpectedly. She wanted to be lucky. She wanted some really good friends but looked around and felt alone. Really alone. Despite being around tons of people. Making friends can be truly difficult in community college. I learned when I transferred to a University that most students made their friends in the hallways of their dorms or at the nighttime activities of their organizations and didn’t seem to have much reason to strike up a conversation with a new friend in class. In community college, however, everyone was a commuter and class was our only opportunity to make friends. But few did. Most go to class and go home, go to class, and go home. No interaction beyond what is necessary. Just get through the class. And go home. I call this drive-thru education and I think it’s kind of dangerous. Relating to our peers is part of how we challenge our perspectives and develop our interpersonal skills. And making new friends is fun. But as my student realized, it can also be really, really hard. She is not alone. And if you feel lonely – you’re not alone either. In fact, many surveys and articles report that college students are often the loneliest group of all. Media depicts college as a constant social party, which leads many to assume that if you don’t have tons of friends and a full social calendar something must be wrong with you. Nothing could be further from the truth. We live in a fast-paced, technology driven, “Me-generation”, and it doesn’t show any signs of slowing down. Our modern life is not conducive to human connections. Real friendships take work. Creating community, making friends, takes real effort – and it starts with you. In high school friendships are easier because you are with the same people, from the same town, of the same age, all day, for 4 years (sometimes more). Life after high school makes making new friends difficult. But if you learn those skills now they will help you for the rest of your life – because making new friends can be difficult after college as well, just ask any post-grad you know. If you find yourself feeling lonely and wondering why no one is calling or texting you, realize almost everyone else is feeling the same way. Only you can change your social situation. And while it does take effort and courage to put yourself out there, it is so worth it. Because friends allow us to unleash a different part of ourselves. We don’t have to be our high school-self. We don’t have to be our college-self. We don’t have to be our work-self. We don’t have to be our dating-self. We don’t have to be our I’m-trying-to-impress-people-self. We can explore our real self. We can delve into various interests, talk about our lives, and grow our perspectives. And there is almost nothing better than laughing till you cry or crying till you laugh with a friend. 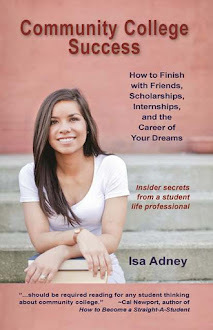 I’ve read a lot of quarter-life crisis books that talk about the college and post-college friendship struggle, but what drove me crazy is they only said the struggle existed – they didn’t tell me how to overcome it, how to make friends. And then it made me feel like a loser because maybe no one else needed to know how to make friends during or after college. Maybe I was the only one. But after many conversations I realized that was far from the truth. Many people struggle to make friends during the transitions of life, but not many people are as brave as my student was to talk about it. Because we often think we are the only one. So while I’m not the expert, below are some tips that I hope can help you expand your social circle, make some connections, and enjoy other people during and after college. If you start imagining what your social life should look like and try to create it you will either overwhelm people or retract into your own little shell. Don’t try to imagine what your social life should be. Just enjoy whatever it is in the moment and in your current life stage. Know it will change and know that is okay and perfectly normal. BFF. It was fun to write each other's hands with gel pens. And some do have friends for almost their entire life and I think this is wonderful and an incredibly lucky feat. But people move, people change, and sometimes that means our friends change. Don’t let this get you down. Embrace the friends you have while you have them, and appreciate what they bring to your life during that time. It’s so easy to hide behind our status and our tweets. Don’t let your social life be entirely on the computer. Use Facebook to learn about what people are interested in or events they’re attending and GO. How many events lay dormant on your Facebook homepage? Try showing up and see what happens. How often do you wait for other people to text you to hang out? How many social events have you initiated? It isn’t hard. Invite someone out for coffee. Go to an event and invite some more people to go with you. Notice what’s going around town. Notice what’s going on in your campus. And just invite other people. They will love you for it. (disclaimer: when you become the inviter sometimes you will want to put something together and everyone will be busy and no one will come. This is not because they don’t like you. It’s because we live in a world where as you get older friendships aren’t easy and people have to purposefully make it happen. Just because you are doesn’t mean they are. But keep inviting. Don’t give up. And don’t take it personally). Community colleges often have robust student life programs. The problem is so many students don’t take the time to engage with them. Show up at an event. Join a club. Become an officer in a club. And you’ll have more friends and social events than you’ll know what to do with. (if you’re a post-grad, try joining a professional association in your field). The United Way has a database in almost every county for volunteer events and opportunities. Show up. Start conversations. And contribute. You’ll meet great people. I’m not saying to cry out your whole life story the first time you meet someone, but don’t be afraid to let out your insecurities, your fears, your hopes. Being honest is what bonds us. And when you’re vulnerable you give others permission to be themselves too. 8.Do something that interests you – alone. Too often we’re too afraid to try something new without trusted people at our side. It’s hard to make friends when you cling to the ones you already have. Go do something by yourself and be open to the new people around you. If you want any further advice on friendships feel free to e-mail me at advice@communitycollegesuccess.com. And if you have any tips to provide please share them on the comments section of this blog or on Facebook or Twitter #makefriends.